Whether or not New Nordic cuisine is dead is yet to be seen, but what's certain is the French have been utilising roots and leaves to just as much acclaim as the Scandinavians, who are making all kinds of shows of obscure sea herbs and woodland mosses. 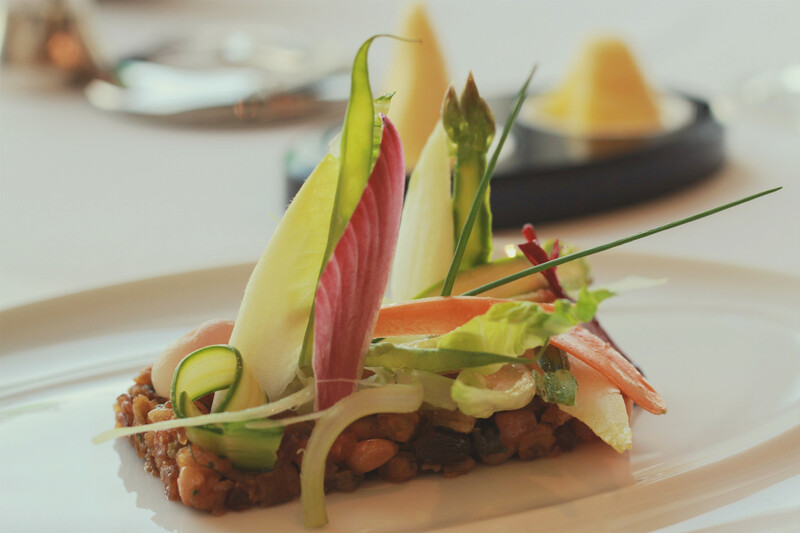 From Michel Bras to Alain Ducasse, French chefs sublimate vegetables in a way that means few will miss the meat. Fresh, seasonal, simple ingredients are made-over in the Caprice kitchen by the skillful hands of Chef Fabrice, making a fine dining tasting menu fit for any kind of diner, but of particular delight to those who omit eating things with a face from their diets (or at least they do when they're sober). 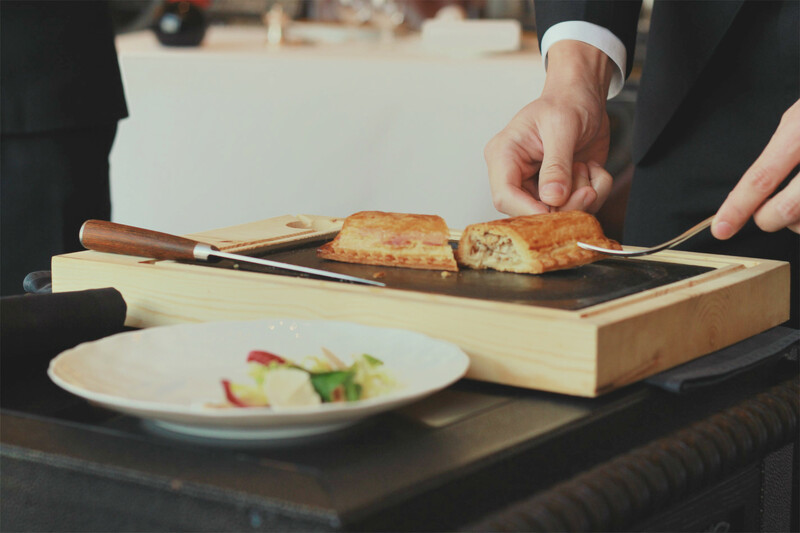 In addition to the outstanding food, a trifecta of factors including extremely well paired wines, breath-taking views and what is undoubtedly some of the better service in Hong Kong, makes eating in Caprice a jovial experience. Though the seasonal menu changes (with the, erm, seasons), everything we tasted could not be faulted, so you can be fairly sure the food will be outstanding any time of the year. 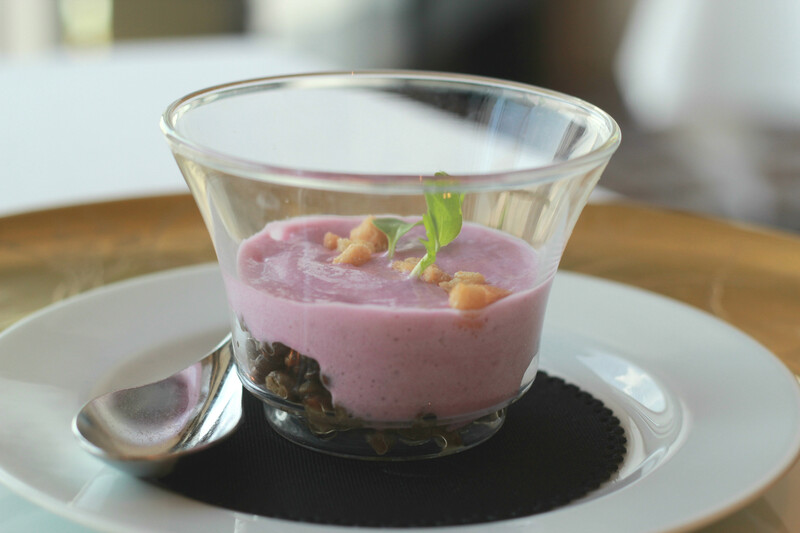 The amuse bouche was a purple sweet potato foam with lentils; an exquisite texture and resplendent colour. The next course was the second favourite; a mushroom pastry served tableside, with as much respect and finesse as one would serve a prime rib. The flaky pastry can be smelt even before it arrives, and once it is sliced into, releases an even more enticing mushroom aroma. French butter wins every time and when it comes to this pastry this is most evident. 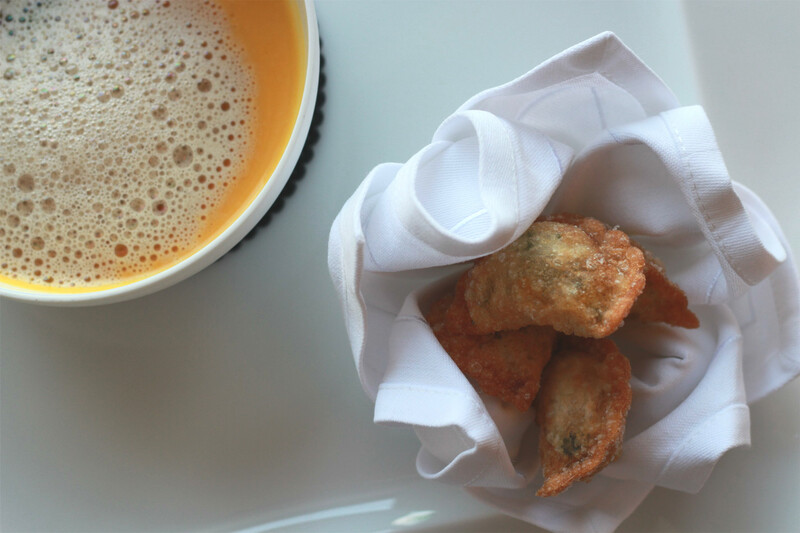 An unusual combination of coffee foam and pumpkin veloute makes an appearance, working together very well, and complemented by little pockets of dough that are filled with hokkaido pumpkin and black truffle and then deep fried. The Hokkaido pumpkin (or Kuri squash (Kuri means chestnut in Japanese) is a lot sweeter than an average butternut, and when coupled with the black truffle, gave an unusual yet not at all unpleasant pungency that almost mimicked jackfruit. 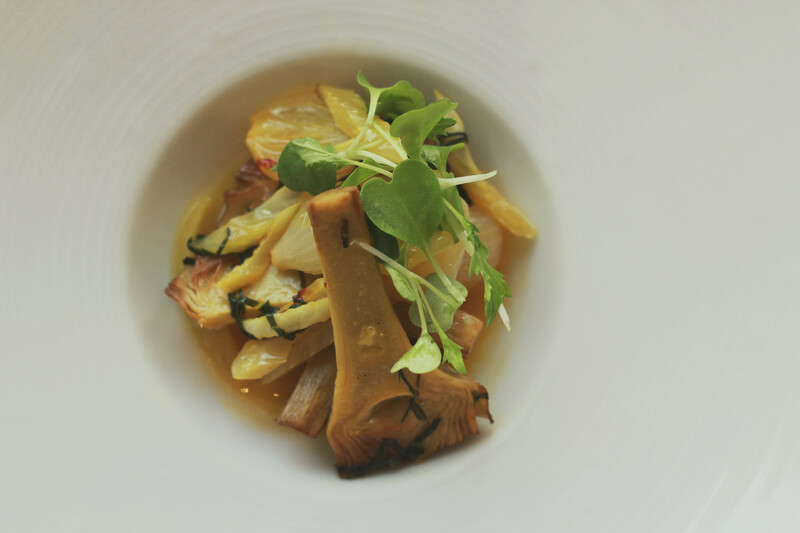 Finishing the lighter courses was the Les Légumes Fraîcheur, which consists of raw and cooked seasonal vegetables with mushrooms on a bed of caponata. An extremely flavoursome artichoke dish came next which married heightened iodine sensations with sweet shallots in a way that was clever and memorable. 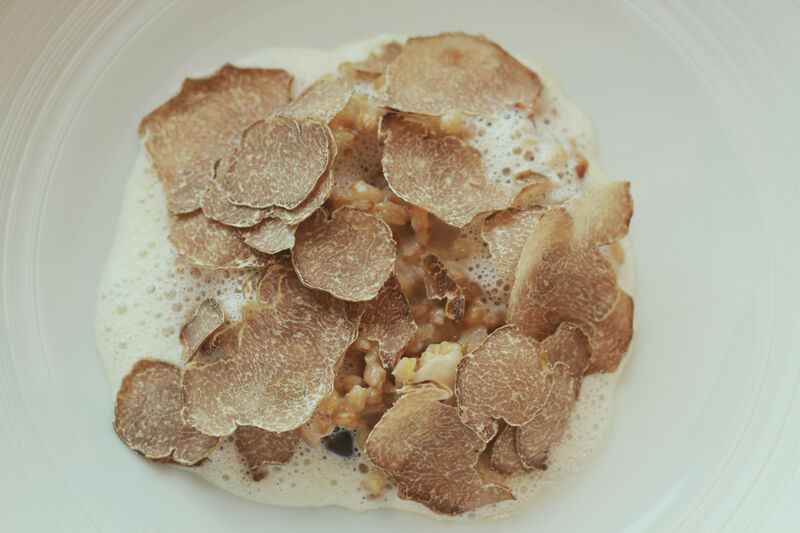 The best dish we tasted was the spelt risotto with shaved truffle. The chewy spelt grains were texturally satisfying and soaked the sauce but still managed to give full attention to the truffles. Many shades of delicious, and though we were entirely full by this stage, pressed on because truffle. 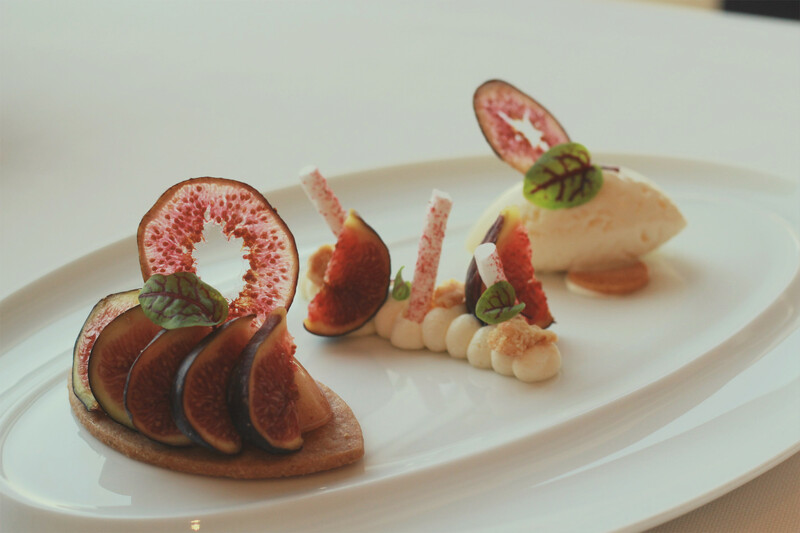 About desserts we only have good things to say, especially with the flawless use of the autumnal fig. Fig and cheesecake was a highlight. As people who consciously pursue vegetables will know, vegetarian options often meant slumming it when out with omnivorous friends; being relegated to options that usually swap between 'garden salad' and 'mushroom risotto' with the occasional 'tomato penne' thrown in. Low-on-taste plant-based dishes don't even make it through the door of Caprice, which is a palace for vegetarians.